Although a variety of technological innovations and tools continue to make the fax machine seem almost obsolete, there are a number of different elements working together which manage to keep the use of the fax machine alive and well. Undoubtedly, one of the largest factors that drives people to continue using the fax machine is found in the use of the internet fax industry. Options such as Google fax and eFax are essentially cloud products which allow people to be able to send and receive faxes in the form of PDF documents. This makes the fax process more convenient and efficient. 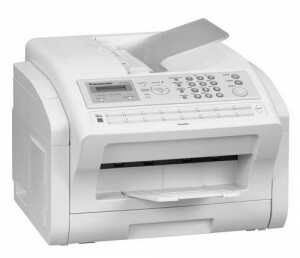 The fax machine is used frequently in other countries which rely on it as a method of communication, such as in Japan where it is still greatly used for business purposes and even to provide warning advisories to surrounding governments. In the United States, every February the fax machine gains a large amount of attention during college football’s National Signing Day. This is due to the countless high school recruits which are required to send their scholarship commitments and agreements via fax. There are also many other situations where the fax continues to be used on a daily basis, such as sending tax documents for business purposes or even getting written approval from doctors for medical procedures. While there are some that belief that the fax machine has a very short-term relevance in the modern world, it’s undeniable that faxing continues to maintain function. As long as businesses, academic institutions and other facilities require faxes, the method of communication is never going to completely disappear. There are always going to be consumers and customers who are going to rely upon it for some form of communication. This is especially true as the internet fax industry continues to evolve and make faxing documents more convenient. Although faxing as we recognize it may eventually change, there’s still many circumstances where faxing itself will continue to survive. This entry was posted in Blog and tagged fax by Matt Gerchow. Bookmark the permalink.